The news is another win for electric vehicles and battery metals like cobalt. The UK is set to ban all sales of fossil fuel cars, joining France in the fight to reduce air pollution and become a carbon-neutral nation. The news is another win for electric vehicles, and could push surging demand for cobalt and other battery metals even higher. On Wednesday (July 26), the UK government said it will not allow the sale of diesel- and gasoline-fueled cars by 2040, another sign that it may be the beginning of the end for the internal combustion cars. Currently, electric cars account for less than 1 percent of UK vehicle sales, but that could change in the next few years as manufacturers reduce costs to match diesel and petrol cars. In fact, Bloomberg New Energy Finance analysts see the proportion of fully electric cars sold in the UK rising to one in 12 by 2030, from one in 200 today. As mentioned, the UK is the latest country to turn away from fossil fuels, following France, which announced a similar plan two weeks ago. In addition, the mayors of Paris, Madrid, Mexico City and Athens have said they aim to ban diesel vehicles from city centers by 2025. Experts agree that the global shift toward electric cars will increase the need for metals used in their batteries in the coming decades. Case in point: demand for cobalt is expected to jump from 46,000 tonnes in 2016 to 76,000 tonnes by 2020. 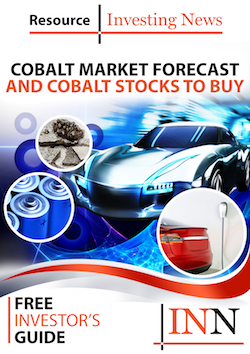 But concerns about supply continue to impact the cobalt market, as most of the metal is mined in the politically unstable Democratic Republic of Congo (DRC). Indeed, the deficit seen in 2016 is expected to triple by the end of the year, according to CRU Group. After the UK’s announcement, Mark Dummett, business and human rights researcher at Amnesty International, said that drivers should be aware that while electric cars may be green they’re not always clean. “Our research shows that there is a significant risk of cobalt mined by children and adults in appalling conditions in the Democratic Republic of Congo ending up in the batteries of electric cars,” he said, calling for carmakers to make public the steps they are taking to ensure their supply chains are clear of human rights abuses. Some analysts think that cobalt supply outside the DRC is years away from production, while other market participants believe it could soon become a reality. “There’s going to have to be a response that goes beyond Congo,” Sam Riggall, CEO of Robert Friedland-backed Clean TeQ Holdings (ASX:CLQ), told Bloomberg. “[Battery producers] are desperately looking for sources of supply outside of Africa.” Clean TeQ is developing a $680-million cobalt-nickel–scandium project in Australia.